Fr. Richard (William) Thell, O.S.B. Read an article About Fr. Richard originally published in the February 2018 Issue of THE MOUNT. Fr. 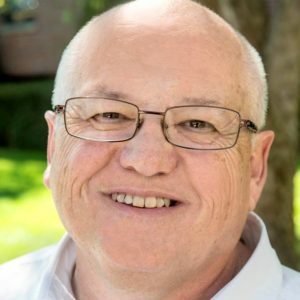 Richard Thell died unexpectedly at the age of 72 on Saturday morning, November 10. He had just entered a care facility following a brief hospital stay. Fr. Richard’s health had challenged him over the past couple months. Fr. Richard was a proud South Omaha native. He was born on September 28, 1946, the son of the late William and Eva Thell. Fr. Richard was given his father’s name at baptism. His tales of growing up on the family farm with his sisters Sheila and Pamela were cherished memories. He attended Holy Ghost Grade School and Archbishop Ryan High School. Following high school graduation, Fr. Richard matriculated at Conception Seminary College. Fr. Richard’s discernment brought him back to Mount Michael. He made his monastic profession on July 27, 1969. Following theology studies at Saint John’s University in Collegeville, Minnesota, Fr. Richard was ordained by Archbishop Sheehan on May 4, 1974. The length and breadth of monastic and school assignments reflect his heartfelt concern for people. Within the monastic community Fr. Richard recently completed ten years service as Prior – the monastic superior second in command. Previously Fr. Richard helped oversee the formation of those in first vows as Director of Junior Monks, provided for the needs of the community as Vestriarius, greeted and received guests as Abbey Guest Master, and covered a number of pastoral assignments to churches in Nebraska, South Dakota, and Iowa. Students in Mount Michael Benedictine School fondly remember their speech teacher, their theology instructor, and their English teacher. Fr. Richard had a particular fondness for English literature and for improving a student’s vocabulary. It was his desire to have his students become more erudite and to cogitate more pensively! His humor and sharp tongue kept his classroom disciplined. Fr. Richard was also residential dean to a great number of boarding students over the years. His care, kindness and encouraging words continued long after graduation. Fr. Richard will be missed by his monastic community. He is also survived by his sister Pamela and two nephews Daniel and Andrew. Vigil services for Fr. Richard will be Tuesday evening, November 13 at 7:00 pm in the Archbishop Bergan gymnasium on the Mount Michael campus. 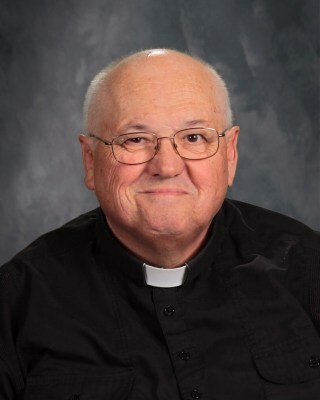 A funeral mass will be held in the Archbishop Bergan gymnasium on the Mount Michael campus Wednesday, November 14 at 10:30 am.